Tired of pumpkins? 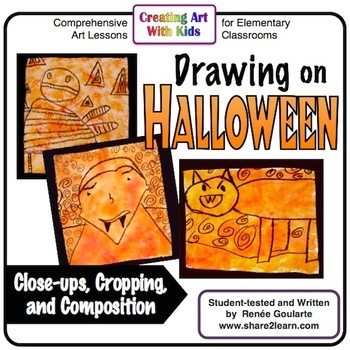 Have students create a variety of interesting Halloween art work for your classroom! 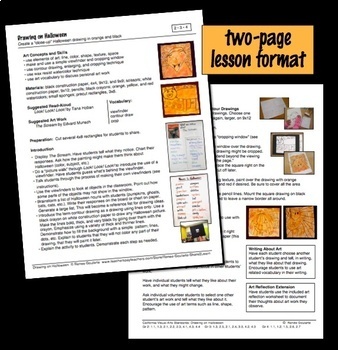 Several important art strategies and techniques are incorporated into this comprehensive art lesson. 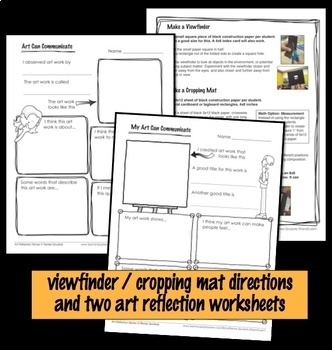 Students learn how to make and use a simple viewfinder to help them observe like artists, focusing on details in the environment and in artwork. They make preliminary drawings, choose one for a larger format, and make and use a cropping window to create interesting “close-up” compositions. Sponge painting adds texture, and students crop and mount their own art work. Teachers may want to add photographs or illustrations of pumpkins and other Halloween symbols to the introduction and for student reference. This art lesson is designed to teach art appreciation, artist behavior, and art analysis, and to foster authentic art-making and art education. National Core Visual Arts Standards are listed at the beginning of the lesson. Because I teach in California, this lesson also includes a list of the California Visual Arts Standards addressed for suggested grade levels. Please note that listed grade levels are suggestions only; any of these lessons can be simplified or made more complex to work for any elementary grade. Need art lessons to last an entire school year? Save money with my Art All Year MegaBundle! I am a retired elementary classroom teacher, a former art teacher, an artist and a writer. I have a Multiple Subjects credential, a Single Subject credential for Art and English, LDS/ESL certification, a Master’s Degree in Elementary Education with a Mathematics focus, and Montessori certification. I have worked with all elementary grades, and with special groups including ELL, GATE, and At-Risk students. 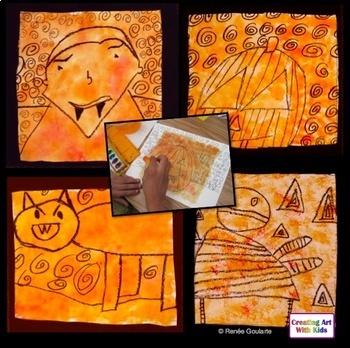 Creating Art With Kids and Share2Learn lessons and resources are designed to foster student creativity, choice, and independence, and to encourage authentic art-making. Consideration is given to developmental appropriateness, differentiation possibilities, and teacher individuality. For this reason, directions are general, expectations are open-ended, and clip art on student pages is kept to a minimum. Find out about new products, discounts, and freebies! Look for the “follow me” link near the store logo at the top of the page. Become a follower to receive email updates about my products. Provide feedback on purchased products for TpT credits toward future purchases. Look in your “My Purchases” page for the “Provide Feedback” button.